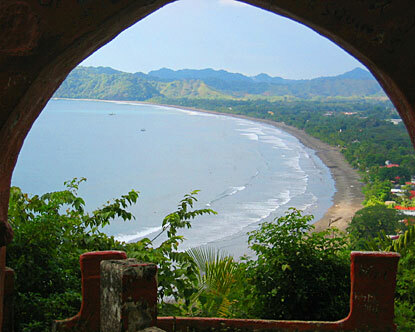 Beaches in Costa Rica, like jaco, may well be one of the most important assets in the eyes of visitors. The beaches come in all sizes, shapes and types. One of the most known beaches is called Jaco. Jaco is one of the first beaches to become a real tourist magnet. It is also one of the closest beaches to San Jose. The beach itself is a three km long beach with nice sand and the water is inviting. However, as always when swimming in the sea, check out current riptides as well as keep an eye on the tide. Jaco has rapidly become one of the selected party beaches in Costa Rica and the long beach has a multitude of hotels, cabins and rooms for rent. • Ask around for information about riptides, before you find them yourself. • Also, check the time schedule for the local tide. The change in sea level is great and you can be pulled out to sea. • Remember that the bottom end places to stay are cheap for a reason. Never leave valuable things behind. • Mid to high end hotels can be of good quality, but check for ceiling fans or ac as well as warm or cold water. • Remember that the way of cooking will not be the same as in a good restaurant and you may feel the urge to test many local delicatessens when on the beach. This may come as a surprise to your stomach! • Get bottled water on your way to Jaco. To make sure you will not stand there with the salt from the sea in your month, and no place, where you can find something to drink. You can travel to and from beaches like Jaco in many ways. Rental car, bus and even by air in some cases. Smaller local airlines fly between the airports in Costa Rica daily and can take you from San Jose to Liberia or some other places. Inquire locally the get the correct schedules and prices.